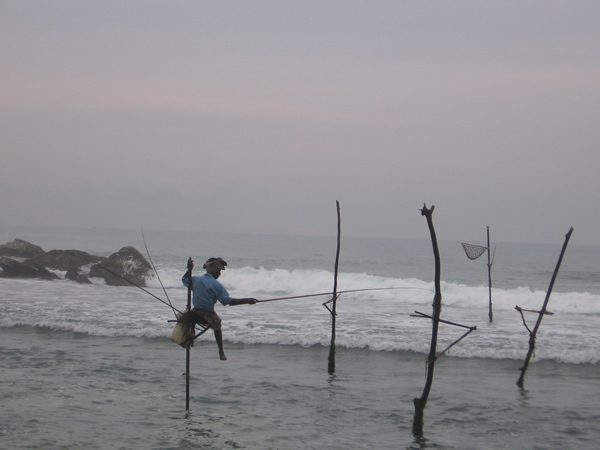 It is nothing to do with CTS, but while we were in Sri Lanka we had a second little holiday. Two nights in the centre of the Island. Telling you about it will at least help encourage you that if you are given half a chance Sri Lanka is a place you must visit! The first part of the Colombo to Kandy road runs through the urban ribbon that seems to spread along most of Sri Lanka’s lowland main roads. It’s fascinating for the visitor to watch all the little shops, so many like miniature Alladin’s Caves full to overflowing with different items for sale. 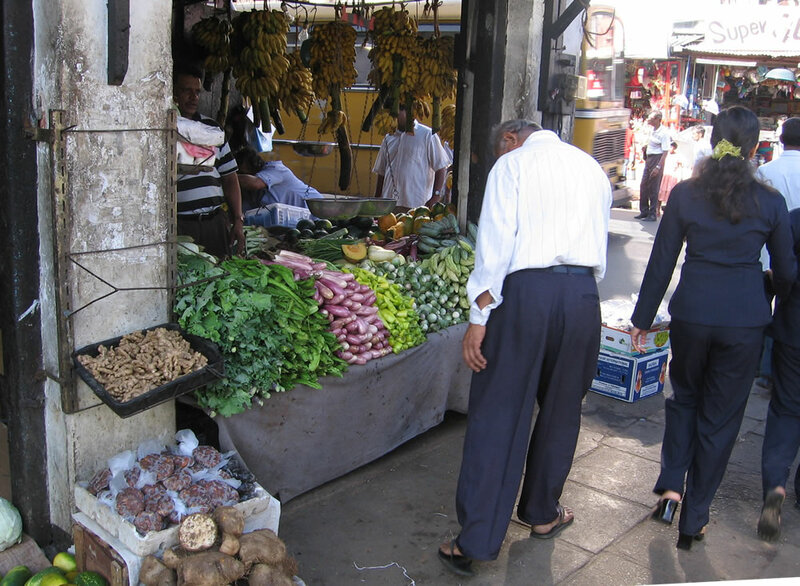 The clothes – somehow often brighter than the restrained colours that the people around mainly choose, though in every town there are a few peacocks in bright striking saris – and the food shops are the most interesting. The range of lovely vegeatables and spices are almost as varied and decorative as the range of sari cloths. The streets, in town and out, are busy with busses (hundreds of them), tuk-tuks (here called trishaws), motorised carts, and the occasional cars and bullock carts, as well as people. Men intent on business, or chatting idly, older folk moving slower, children going to school (or busy not going home too soon after school), the younger boys and girls often accompanied by a parent or grandparent (for safety in the busy traffic?). Soon after we started to climb steeply to Kandy we turned off to the Elephant Orphanage. We were not quite sure what this would be like, the elephants in the tourist camp in Thaland had been somewhat sad beasts. Actually it was lovely. First in the light of the early morning sun over the hills, we watched the bigger elephants being fed piles of leaves and small branches. Then some of the babies, shoulder height only, getting milk from bottles – they have now quite a few babies born at the orphanage, as well as injured or troublesome beasts arriving at the reserve. Then down to the river where the group (50 – 60 animals of all ages and sizes) congregated to be washed down (elephants are otherwise permanently covered in mud and dust), drink, chat together in small groups, or for the younger and more adventurous head off to the far side in the hope of greener fresher food! We spent far longer than I’d have thought likely watching the elephants and have lots of video that our great-nephew Joe enjoyed watching with us. 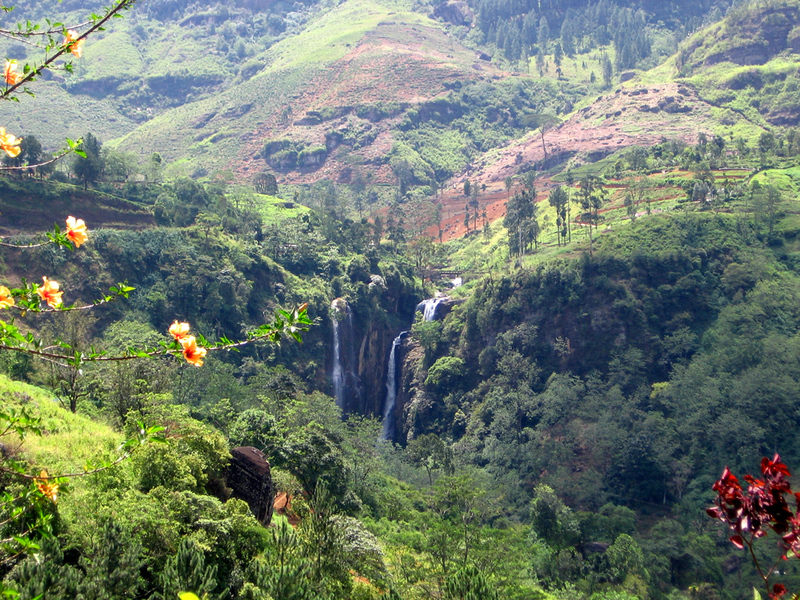 From there we climbed to the outskirts of Kandy, where we stopped at the botanic gardens. They are beautiful, and very well tended and labeled. Many of the trees in one section planted by a whole world of celebrities, from politicians and heads of state to Yuri Gagarin the Soviet cosmonaut (with thankfully no Holywood or reality TV names among them as far as we could see!) 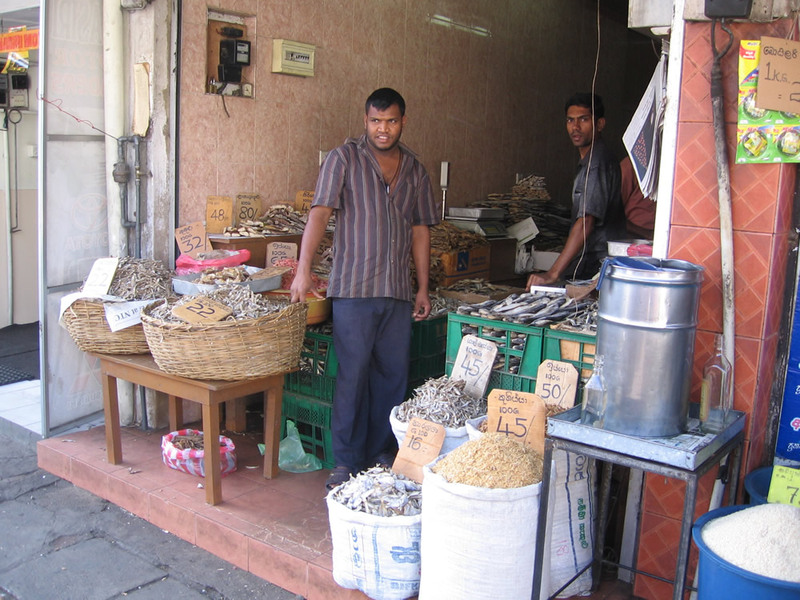 Here we saw some of the spices for which Sri Lanka is famous growing – nutmeg and mace come from a small yellowish fruit on trees somewhat like plumbs. All through the gardens there were courting couples walking decorously, occasionally hand in hand, occasionally seated chatting seriously, the gardens are an accepted place where one can be “alone” but in plain sight, so a convenient place to explore the potential compatibility or to discover deeper beneath the surface attraction of a potential spouse! At one edge of the gardens we came across a film crew. We were unable to walk across the suspension bridge – even though it had been signposted almost since the gate – as they were shooting a bevy of brightly dressed girls there. Nearby were a troop of monkeys, scampering across the ground, or swinnging rapidly through the branches. More video that we – and Joe – enjoy watching. Sri Lanka has just three species of wild monkey: Grey Langur, Toque Macaque & Purple-faced Langur (or Bear Monkey). We think these were Toque Macaques. 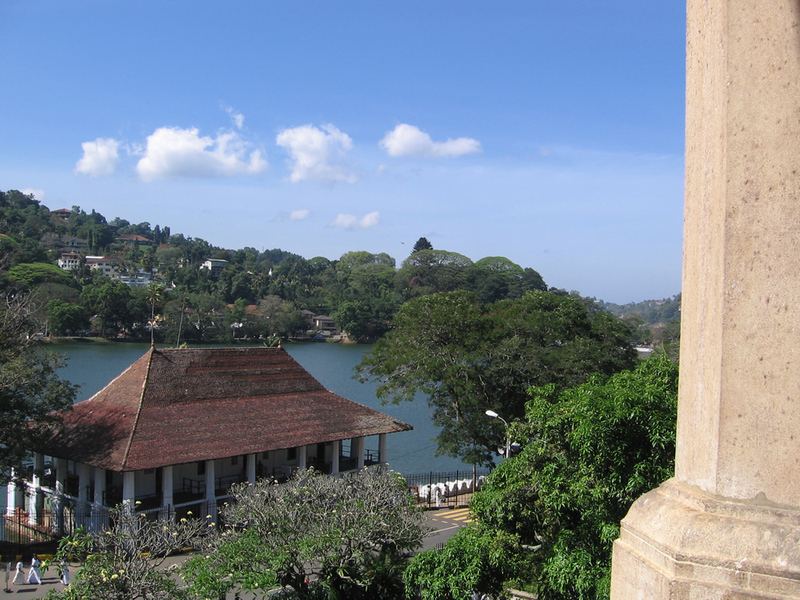 At the centre of Kandy there is a beautiful man made lake – ordered up by one of the ancient kings with an eye for beauty. It, together with fine architecture from both ancient and more recent times (the cooler climate encouraged the rich and powerful to build) makes the centre of Kandy one of the most beautiful city centres anywhere. Sri Lanka is shaped like a tear drop off the south of India. It is just a little smaller than the Republic of Ireland (a quarter the size of NZ). It has a population of around 20 million (Ireland is 3.5 million, and NZ about 4). 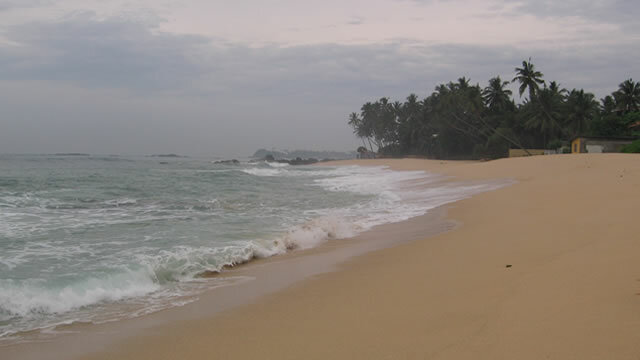 This relatively high population is significantly centred in several large cities, and threads of urban development along the main roads.The coast is fringed by attractive beaches, and delicious fish curries are a highlight of the delicately spicy cuisine – every dish we ate was pleasant, and several were superb. The highlands in the centre of the island rise to over 2000m (6,560 feet). Here some of the best tea in the world is grown. 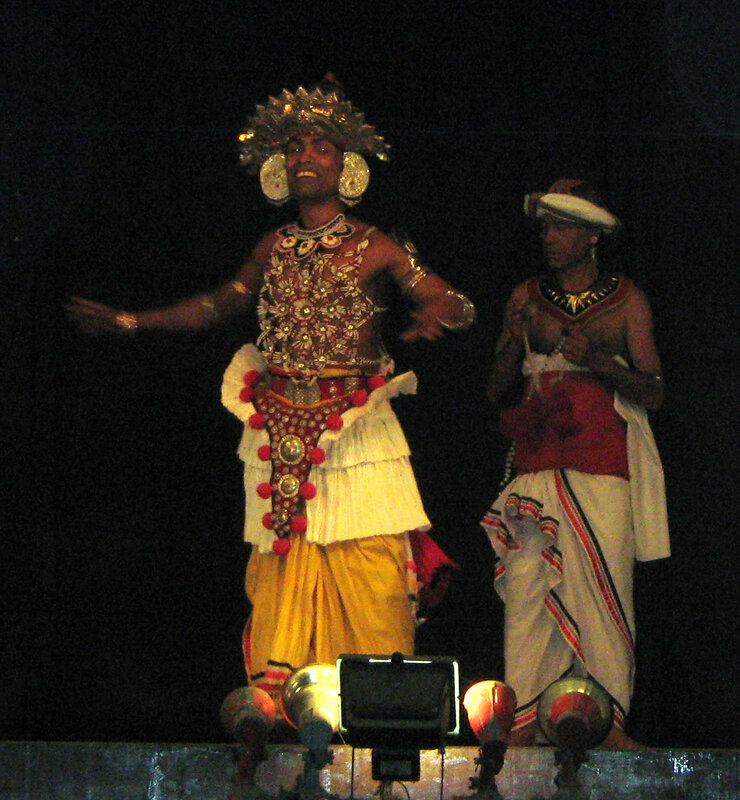 The main exports are agricultural, supplemented by gemstones and garments. The main religious groups are Buddhist 70%; Hindu 15%; Christian 8%; Muslim 7%. The Christian community has a long history, back to early missions like that which founded the Thomist churches in India. There are especially large enough numbers among the educated elite, so despite being a minority they practically ruled the country in the first years following independence. This combination makes evangelistic or missional activities somewhat problematic among today’s Christian minority. Churches are often more inclined to undertake social support roles, which are valued by government agencies and the local majority communities, rather than risk causing dissention with their neighbours by active evangelism. It is sad that such a beautiful and plentiful island suffers from tension between the Tamil minority and the Sinhalese majority. The long-running civil war has been relieved only by a couple of lengthy ceasefires in the 90s and again earlier this decade. The most recent ended at the start of this year, and Independence Day was marred by a bomb blast which killed a number of school children. This caused appreciable anxiety among the population of Colombo at the start of our visit, though by the end since no more tragedies had followed things were less tense. The civil war has meant that considerable resources are used for the military and police, and development has been slower than in other Asian countries. There is a huge gap between the sophisticated elite and those who lack such “internationally” marketable skills. Mobile phones are widespread, and fairly affordable. Broadband Internet is available and 3.5G phones with broadband access are widely advertised on hoardings in the city. Perhaps because they are not “traditional” churches in Sri Lanka, and therefore less worried by losing acceptance in the eyes of the non-Christian community, the Assemblies of God are active in evangelism and church planting. We saw small, and occasionally very large, AoG buildings almost wherever we went. This is also reflected in the composition of CTS, which a good number of AoG staff and students as well as members of “traditional” churches. CTS with its mix of Sinhala and Tamil, traditional and new churches, pastors and lay people in influential professions is already playing a significant role church life in Sri Lanka. The class I taught represents this strategic importance, Yohan works in University ministry, Suhasha and Cheryne are teachers and Savitri a mother, Sriskandarajah pastors in a new(ish) congregation while Sarath has resigned as a Salvation Army officer as he wants to plant new churches, Prashan and Nina work for development agencies, Noeleen is an engineer while Naresh and Perez are in marketing and advertising. Thus CTS has a key role to play in the future of Christianity in Sri Lanka. Bringing together key leaders (lay and pastoral) from the traditional churches with some from the newer Christian communities should help the traditional churches as they struggle with their identity as both minority citizens of Sri Lanka and citizens of heaven. It is also well-placed to offer a stiffening of good relevant theological thinking grounded in the historic Christian tradition for the more “enthusiastic” newer communities, who can risk getting “carried away” from normative Christianity by their very enthusiasm. If you watch this short touristy video, or enjoy photos of beaches and hills, please pray for the country and its people. CTS seems a thriving and lively institution, dedicated to providing training where the previously existing colleges in Sri Lanka did not reach. It serves Evangelicals from the traditional denominations (there are a couple of Methodists and an Anglican in the class I’m teaching) and from the Assemblies of God (the biggest single group). The college has a lively vision for training that equips students not only (or even, if I’ve got it right, primarily) for pastoral leadership but often for part-time ministries or simply to be effective intellectual Christians in their workplace. So, also in my class there are two or three out of the dozen who work in advertising and PR, as well as the pastor of an AoG church and a guy who works in the University ministry supporting Christian students in the four or five Universities in Colombo. CTS teaches in both Sinhala and Tamil as well as English and is committed to making resources available in these languages. To achieve this as well as encouraging busy teachers to write, and in the MA program equipping Christians to think and write, they have a “research professor” whose work in primarily writing. CTS has extension centres in both Sinhalese and Tamil parts of the country to which teachers from Colombo go to deliver short intensive programs. “My” class is part of the MA program which is intended either to build on a previous theology degree giving students sharper skills in biblical studies or missiology (the two majors offered) or to equip people with degrees and careers in other disciplines to think theologically (biblically or missiologically). A focus of the goals of the programme is also to equip them share their thinking through writing and other means and so communicate theological thinking more widely in the church. The security situation, with the cease-fire having ended at the start of the year, is a concern to many people. 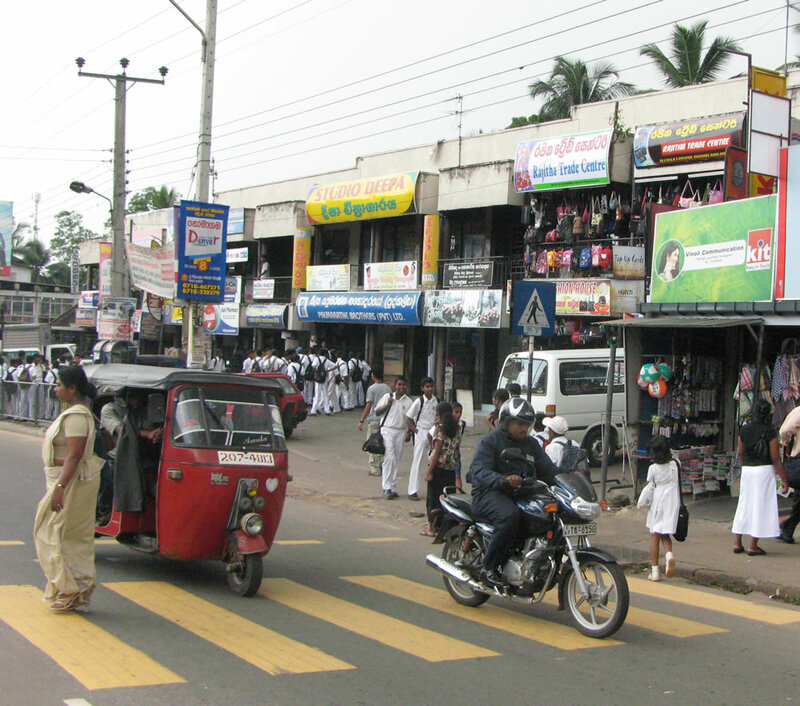 On the day we arrived all the schools in Colombo proper were closed, (though not those in the “outlying districts” of the city) because the previous day had been Independence Day, and terrorist actions were feared. The college is opposite a police station, and as our class was beginning we were asked if anyone had a car parked in the street outside – later we heard that the police had towed the offending vehicle, presumably it was harmless! Most people in the city are living their lives normally. However, some have become a bit nervous. I expect that as in Belfast in the 70s (with the IRA and UDA bombings) it is the long term mild increase in tension that will tell most on most people. So please pray for the peace of this city of 3-4 million people. It is the capital and by far the largest in a country the size of Ireland with a total population rising from 20 million. Today, following last night’s 6pm – 10pm class, we have a full day’s teaching, and then this evening we will share a meal with Jonas (who is responsible for the MA programme) and those students from the class who are available. So it really is an intensive start to my part of the course! 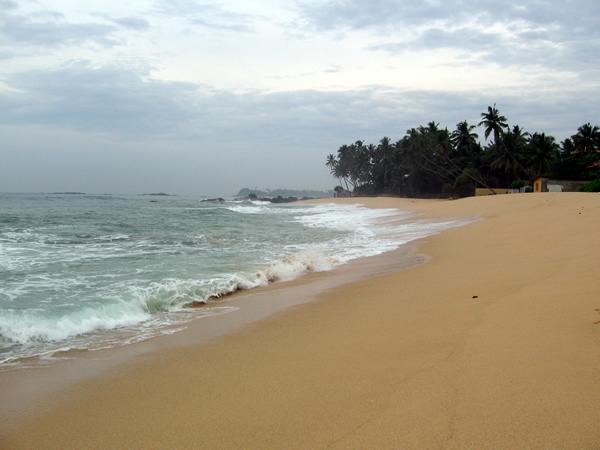 Our introduction to Sri Lanka was more leisurely, with a lovely day and a half on a beautiful beach outside Galle. The high tide mark was just below our deck and we slept to the sound of breakers.